Awesome capture. I love how the fog lies over the buildings. B. E. A. U. Tiful! Wow this is an amazing shot! Very Blade Runner, it looks awesome!! 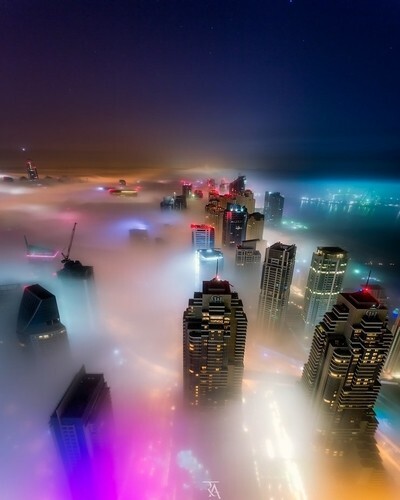 #night #cityscape #fog #rooftop #towers #city #towers #dubai #cities.